If you’re looking for a firewood delivery in Kent then The Firewood Shop is the ideal place to secure your logs and other firewood products. Whether you’re looking for kindling wood, firelighters or kiln dried logs, we can arrange a direct firewood delivery to any postcode in the Kent area. The Firewood Shop is proud to provide the very highest quality kiln dried firewood available in the UK. Kiln dried logs have a much lower moisture content when compared to other wood burning logs, meaning that they burn better and don’t leave as much unsightly charring and black residue. 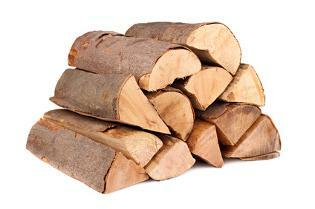 Like all logs, kiln dried logs can also be bulky and difficult to transport. That’s why we can arrange your firewood delivery in Kent for you, to ensure that you don’t have the stress and inconvenience of lifting and moving it yourself. The Firewood Shop is a family run business, and the satisfaction of our customers is our number one concern: we go above and beyond to ensure that you are happy with your firewood delivery in Kent and that we only ever provide the highest possible quality logs. Whether you need your logs for a wood stove or an open fire and whether you are using them in a residential property or a business such as a hotel or restaurant, you will be delighted by the fantastic appearance and warm glow produced by our logs.